An encyclopedia designed to provide entrepreneurs with how-to information that they can apply to their own business. The Encyclopedia contains detailed articles and overviews of all the key information needs of small business users, including financing; financial planning; business plan creation; market analysis; sales strategy; tax planning and more. Log in with your library card number. Don’t have a library card? Sign up now to get an eCard. A guide developed to enable entrepreneurs to understand certain corporate terms and to aid in the continuing existence of a business in Indiana. Presented by the Indiana Secretary of State. Read top consumer small business books, including titles from NOLO. Also includes business videos, an advice section, and information on creating business plans. Log in with your library card number. Don’t have a library card? Sign up now to get an eCard. Free online resources on starting & managing a business from the Small Business Administration (SBA), an independent agency of the federal government. A mission-driven, non-profit organization that provides cost-effective solutions to meet the workforce-related needs of its customers. Assists local business as an advocate for strengthening the business climate and promoting quality of life in our community. Find zoning, planning, and inspection information, TIF and Urban Enterprise Zone information, application for the Uptown Arts District Facade Improvement Program, and more. A nonprofit association dedicated to educating entrepreneurs and helping small businesses start, grow, and succeed nationwide. A non-profit, social welfare organization dedicated to improving the quality of Michigan City’s Uptown Arts District, striving to create a city center that is a great place to live, work, play, and invest. The regional voice for the business community, promoting a positive business climate through initiatives driving investment and job creation. The ISBDC offers entrepreneurs expert guidance and services for little to no cost. Services provided include one-on-one consulting, strategic planning, market research, loan assistance, and more. 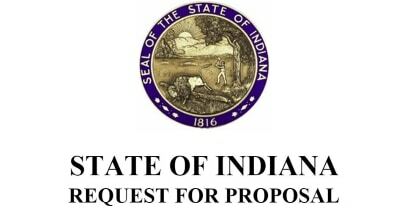 Information on bidding on contracts or serving as a vendor for the State of Indiana. List job openings and review resumes from qualified candidates for free, find information on hiring-related tax incentives and credits, and more. The New and Small Business Education Center explains state laws, the tax-filing process, and services available to help businesses. 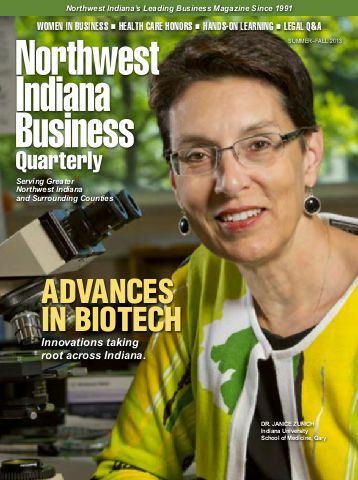 Indiana’s lead economic development agency focused on growing and retaining businesses in Indiana. Offers financial assistance, capital access, site selection, economic data, tax credits, and more to qualifying businesses. Designed to help small businesses understand and comply with regulations that apply to their operations. From the Indiana Department of Environmental Management. Includes information on state requirements for starting your business, including licenses and permits, registering business names. Also covers state assistance programs available for businesses. Membership organization that provides a variety of services to member businesses, including business research, training seminars, PR assistance, helplines, and access to EAP and health care solutions. Also lobbies for business-friendly legislation. Offers services to employers including staff training grants, tax credits to hire new employees, recruitment assistance, and more. Register and file business entity forms, get information about launching and growing your business, and file required amendments or reports with the State of Indiana. Indiana state business tax forms. Get access to tax forms and topics of interest to small businesses, including employment taxes, business taxes, Work Opportunity Tax Credits, and disaster assistance for businesses. Find resources to help you start your business, apply for SBA loan programs, make a business plan, and find local mentoring and support. Also includes online learning and training resources. Register trademarks and apply for patents for the protection of inventions. Find information on starting, managing, financing, and expanding your minority-owned business. 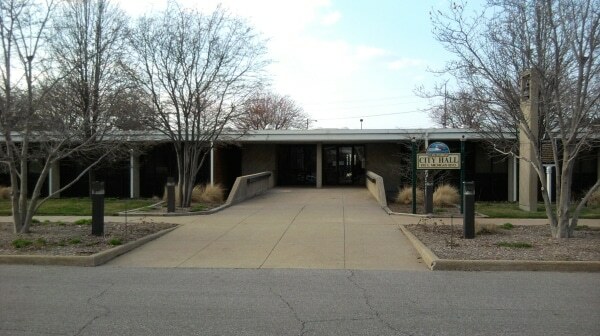 Also includes federal contract opportunities, grants and loans information, and acquisition solutions. Online directory of industrial suppliers, products, and services. Learn accounting and bookkeeping for free through this series of online tutorials. Fee-based supplementary materials are also available. Free, self-paced MBA-style program for entrepreneurs. A free nonprofit micro-eMBA is also available. Offers two free 15-part courses for entrepreneurs to start or expand their small or medium-sized businesses. Available through Santa Clara University. Get the critical skills required of successful entrepreneurs through free, practical courses on business topics. Free online courses from MIT in entrepreneurship, accounting, finance and more. Free online courses on starting a business, business management, financing, marketing, and more. Offered by the Small Business Administration. Get professionally-written legal forms, available to download in Microsoft Word and PDF formats. Find forms related to incorporation, contracts and agreements, employer/employee, and a wide variety of other business forms. Also includes a legal terms dictionary, law digest and legal questions & answers. Log in with your library card number. Don’t have a library card? Sign up now to get an eCard. Download Indiana state business forms, including articles of incorporation, registration for a Limited Liability Partnership, UCC forms, trademark applications, and more. 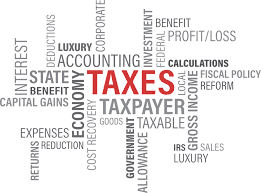 Get access to business tax forms and publications on topics of interest. A small business credit enhancement program that provides businesses with access to capital by encouraging participating lenders to make loans they may not otherwise make. The CAP-SSBCI allows lenders to consider making slightly riskier loans that might not meet conventional small business lending requirements, by providing matching funds for a designated percentage of the loan. 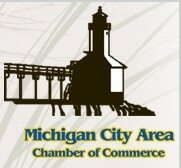 Provides financing to qualifying Michigan City businesses for new investments in capital assets and operating capital. SBA offers a variety of loan programs, including general small business loans, microloans, real estate and equipment loans, disaster loans, and more. Provides venture capital financing to high-potential Indiana startups in their early stages of growth. Also provides guidance and advice to first-time entrepreneurs, and coordinates introductions between a network of fund managers and angel groups across the state. Private equity fund created by the Indiana Public Retirement System (INPRS) to invest in promising qualifying Indiana businesses. Provides a platform for deal flow generation and interaction between entrepreneurs and private equity firms. Investment research Web site that includes interactive charts, quotes, industry analysis, intraday stock screeners, market news, and commentary. CNN’s exclusive business site with business, markets, technology, media, luxury, personal finance, and more. Forecasts of stock markets, interest rates, currency exchange rates, prices, and economic indicators. The largest financial education website in the world, offering the latest in financial news and information. Covers investing, personal finance, retirement, small businesses, taxes, and more. Print newsletter available in the Business Reference section. Concise weekly forecasts of industries, businesses, companies, and technologies poised for rapid growth and profit. Not available online through the library. Investment resource specialized in fund investing. Offers news, commentary, fund information, tutorial, tools and forums. Find basic research and financial data, read articles, and access stock, fund, ETF and general investing bulletin boards. Additional services available by subscription. The Nasdaq Stock Market website, featuring stock quotes, analysis, financials, company news, market information, and investing tools and guides. Stock market indices and other market metrics, including the S&P 500 and the Dow Jones Industrial Average. Find Securities and Exchange Commission resources, including free access to public EDGAR filings, proposed and final regulations, staff guidance, and the SEC daily digest. Source of business and markets news, data, and analysis. Thousands of Datamonitor company profiles and full-text articles from nearly 1,200 trade magazines and journals. Log in with your library card number. Don’t have a library card? Sign up now to get an eCard. Find leading financial research, analysis, and visualization using this free online stock screener. Offers innovative market maps and various charter modes. Check out quotes, scan and filter stocks, perform technical analysis, follow news stories, and more. Online resource to help you invest wisely and avoid fraud. From the SEC’s Office of Investor Education and Advocacy. The Motley Fool provides insight and analysis about stocks, helping investors stay informed. Find answers to common questions about investing and finance, track stocks and get stock ideas, review retirement strategies, and more. Premium services available with a paid subscription. News, current data and other information from official website of the New York Stock Exchange. Reuters.com brings you the latest news from around the world, covering breaking news in business, finance, politics, entertainment, technology, video and pictures. Available in print in the Business Reference section. Not available online. Standard & Poor’s weekly investment advisory newsletter for individuals and professional investors. Drawing upon the vast analytical resources of Standard & Poor’s, The Outlook offers solid research on stocks, industries and the economy as well as independent, unbiased recommendations on what securities to buy, hold, or sell. Available in print at the Reference Desk. Not available online through the library. A weekly, comprehensive stock analysis newsletter to conduct basic research, formulate sound investment strategies, identify timely opportunities and make smart investment decisions. Newsletters include Value Line Investment Survey, Investment Survey: Small and Mid-Cap Edition, and Value Line Selection & Opinion. Get free stock quotes, up-to-date news, portfolio management resources, international market data, and mortgage rates that help you manage your financial life. Source for economic, population, housing, and geographic data. Presented by the United States Census Bureau. The principal fact-finding agency for the Federal Government in the broad field of labor economics and statistics. Covers employment, inflation, prices, productivity, pay and benefits, workplace injuries, and more. Economic data, working papers, and research periodicals available from the Federal Reserve Bank of Chicago. Provides access to official statistical information produced by more than 100 agencies of the Federal Government. Workforce and business data from the Indiana Department of Workforce Development. Get interest rate statistics, economic data tables, and more. Produces economic accounts statistics used by business decision-makers, government, researchers, and the public to understand the performance of the economy. Free economic times series data for economic research and economic forecasting. Includes custom data charters and Excel files of all series data. Find data related to money, banking, finance, labor markets, employment, and more. Web portal to information and data on global business activities. Created by the International Business Center at Michigan State University. Indiana’s official digital data center provides access to statistics from counties, cities, towns, regions, and more on a variety of topics related to business and the economy.